The Rangers are setting their sights on another state title for the school. CUMBERLAND — If ever a school had momentum going into the spring sports season, it would be Greely High. This winter, the Rangers won state championships in hockey, indoor track and basketball. And that was just for their girls’ teams. Their boys also earned state titles in basketball and indoor track. This spring, something has been missing from the tennis team’s preseason practices, other than leaves on the courtside trees at Val Halla Golf & Recreation Center or any semblance of green in nearby fairways. 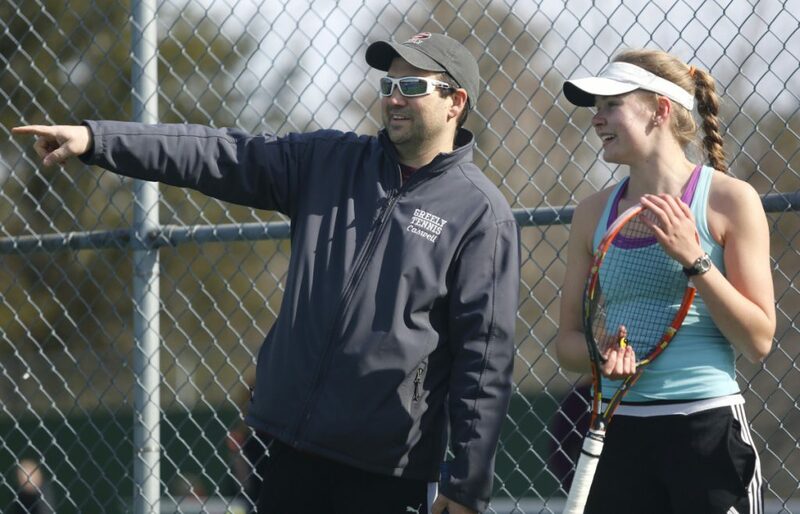 What is absent this spring is the anticipation of trying to measure up to the program that towers above all others in Maine high school girls’ tennis. Falmouth, Greely’s neighbor to the south, has bid adieu to the Western Maine Conference. The Rangers will not have a chance, as they did last May, to end Falmouth’s remarkable string of consecutive victories (now at 157) because Falmouth will play an SMAA schedule. Last spring, Falmouth beat Greely 3-2 on May 4 in Falmouth. The home team swept doubles. Greely won the top two singles matches. The outcome turned at No. 3 singles, where Paige Evans reached a tiebreaker in the second set but couldn’t quite force a third against Falmouth senior Amanda Watson. A silver lining emerged in the semifinal round of the Class B South playoffs, when top-seeded Greely was reeling against No. 4 Cape Elizabeth, a team the Rangers had beaten 4-1 and 5-0 in the regular season. The Capers took a 2-1 lead and reached match point with Paige Evans serving at 30-40, 4-5 in the third set at No. 3 singles. Having experienced similar pressure against Falmouth, Evans took a deep breath and blasted a service winner to reach deuce, forced a tiebreaker and won 7-5. Izzy Evans also had to win a third set to lock up the 3-2 victory. The Rangers proceeded to beat Yarmouth 4-1 in the regional finals and previously undefeated Caribou 3-2 in the state finals. The departure of Falmouth isn’t the only reason for Greely’s recent success in Class B. Caswell is a calming presence. A physical education teacher at Greely Middle School, he and assistant coach Rye Daily divide their time between fine-tuning the games of upper-echelon players such as the Evans sisters and teaching fundamentals to those on the lower rungs of the ladder. During last spring’s wet weather, Caswell even conducted an indoor practice featuring pickleball instead of tennis in order to sharpen volleying skills. Izzy is the quieter of the two sisters. Paige is more vocal. Each will yell her own name in frustration if she messes up during a match. “You’ll know the Evans sisters are out there when you hear their names being called,” Paige said. With Falmouth out of the picture, the path to another Class B state title seems clear for Greely. Still, the Rangers remain wary of Cape Elizabeth.